Capital Punishment is an act of ‘Revenge’ and not ‘Justice’. If `to Kill’ is ‘Murder’ then ‘Capital Punishment’ too is ‘Murder by State’. It is important to debate what ‘Justice means’. It is also equally important to discuss what ‘Punishment means’. If Capital Punishment is “Justice” then ‘Mentality of State’ is ‘Mob Mentality’. Capital Punishment is ‘Mob Mentality’. Capital Punishment is ‘Legally Allowed Planned Murder’ (LAPM). but might be termed as ‘Legal Murder’ decided after “Due Process of Law”. 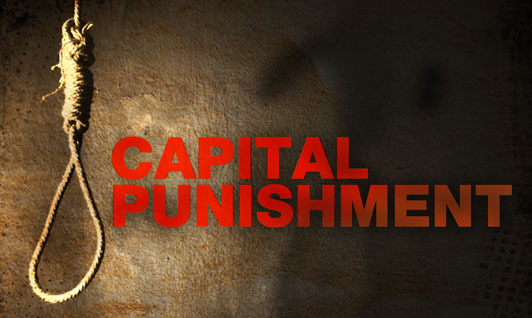 Capital Punishment is not ‘Punishment’ but an act of ‘Revenge’.